A study by researchers from Cardiff University in the UK suggests that a part of a bacterium that activates killer T cells may cause them to bind to beta cells and kill them. “Killer T cells sense their environment using cell surface receptors that act like highly sensitive fingertips, scanning for germs,” explains Dr. David Cole of the School of Medicine at Cardiff. In other words, Killer T cells go “a little crazy” and kill the wrong guys! Senseonics recently announced CE Mark approval in Europe for its Eversense 90-day implantable CGM sensor, body-worn transmitter (worn over the sensor), and mobile app for viewing real-time glucose data. 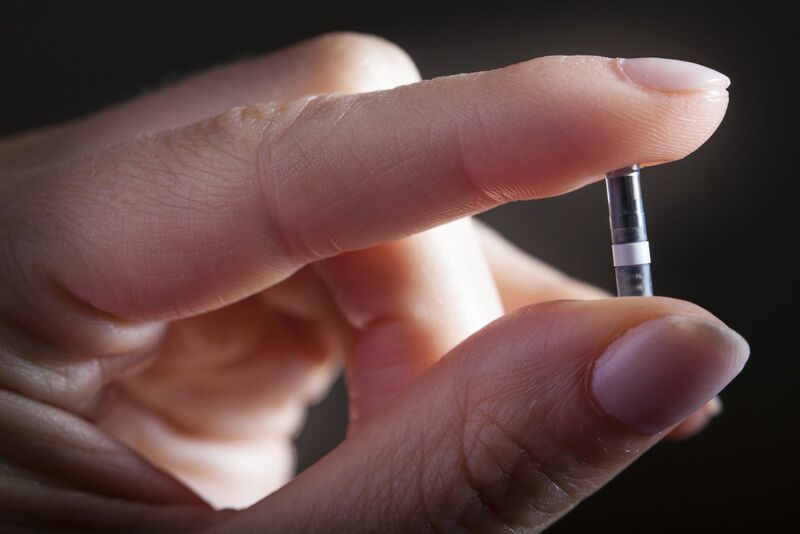 Eversense is being positioned as the “world’s first long-term wear sensor,” as current glucose sensors from Abbott (FreeStyle Libre), Dexcom (G4, G5), and Medtronic (Enlite, Enlite 2) require a new insertion every 7-14 days. Eversense uses a 90-day implanted sensor (a bit larger than a pill) that is placed in the upper arm in a 5-10 minute in-office procedure. A rechargeable transmitter device is worn on top of the skin, directly over the sensor, which powers the implant and sends the current glucose value and trend arrow to a smartphone. The transmitter is removable (users can take it off/put it back on without wasting a sensor), though it must be on in order to get glucose readings. Eversense requires two fingerstick calibrations per day, and its average error in trials relative to a lab measurement is ~11% (slightly worse than Dexcom’s G5 at ~9%, but slightly better than Medtronic’s Enlite at ~14%; Abbott’s FreeStyle Libre is also ~11%, though it does not require any fingerstick calibrations). For the first time, researchers have converted induced pluripotent stem cells – cells capable of turning into any other type of cell – into fully functioning pancreatic beta cells, and when transplanted into diabetic mice, they blocked the disease altogether. While the process has yet to be tested in humans, the results are exciting, because the hallmark of diabetes is a loss of functioning beta cells. If we can figure out how to transplant new, healthy beta cells into diabetes patients, we’re looking at an actual cure, not just a treatment. “This discovery will enable us to produce potentially unlimited supplies of transplantable cells derived from a patient’s own cells,” according to lead researcher Ronald Evans at the Salk Institute of California. It sounds like the plot of a weird sci-fi comedy. But in Dana Lewis’s life, this is just a normal day. Dana Lewis and her husband Scott Leibrand devised a system to “hack” the usual methods of diabetes management, which they found tiresome for a normal, active person trying to live their life. Their Open Artificial Pancreas System (OpenAPS) rigged Dana’s glucose monitor and insulin pump to automatically understand shifts in blood sugar and adjust insulin rates accordingly. 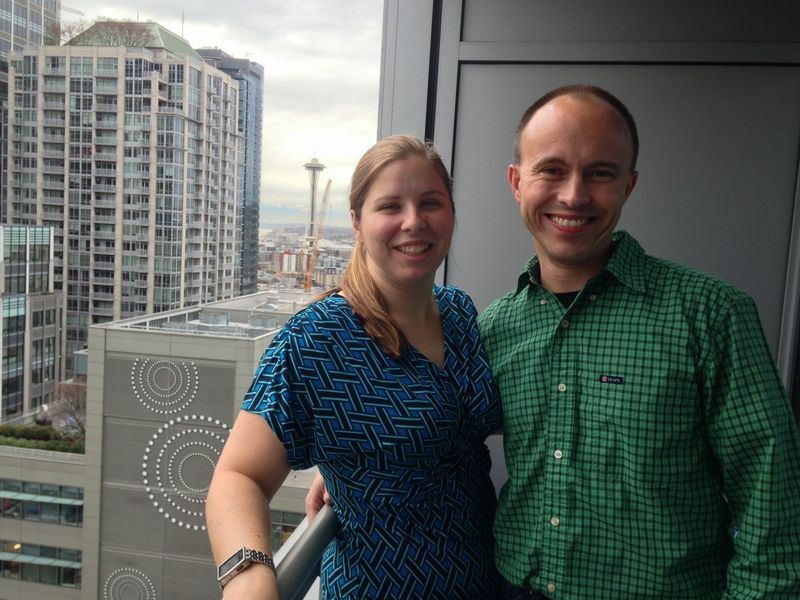 But last year the couple decided that OpenAPS was working so well for Dana, that they had a moral obligation to share it with the type 1 diabetes community. 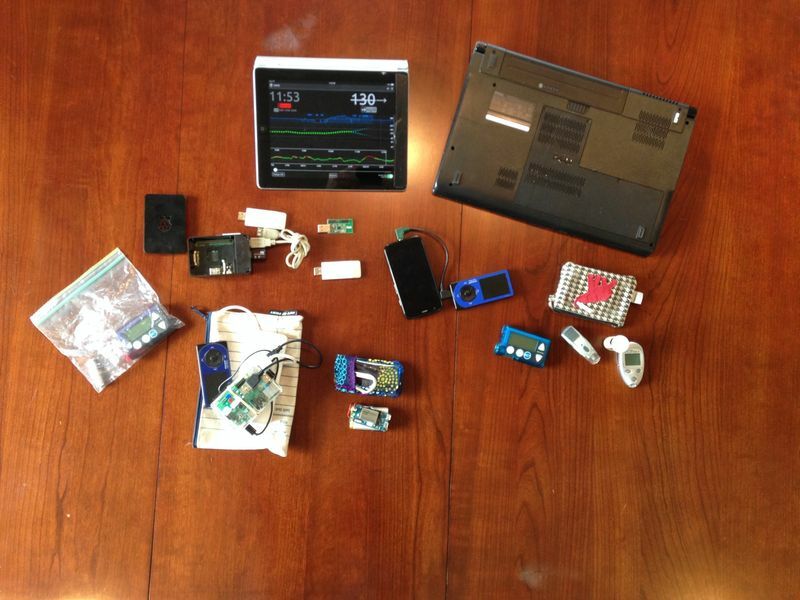 In February of 2015 they open-sourced the documents for the artificial pancreas and now, nearly 50 people have been built their own versions.